I’ve noticed that, apparently, the big thing these days is to substitute a microfiber bonnet for the orange or white foam pad to do the heavy lifting swirl removal work. For those of you using DA polishing equipment, has anyone out there got any experience using this approach? Impressions, favorable or otherwise? I gather that one needs to keep on top of keeping the pad clean as you work---is that pretty easy to do? In that regard, I noticed that AutoGeek now has a whole Meguiars “system” along these lines (see: Meguiars DA Microfiber Correction System, paint polishing system, car polish, car detailing system, compounding system, remove scratches), but I’ve historically not used a lot of Meguiars products in the past. I’ve typically used either Menzerna polishes or, on occasion, Poorboys. As far as I can tell, the MF bonnets could be used with them as well. Part of the reason I ask is that I already have foam pads. In that I already need to place an order for other detailing products, I was wondering if it was worthwhile to pick up some of the MF bonnets as well? Related question: I’ve considered picking up a “mini” DA polisher to deal with those small areas that are kind of a PITA to deal with using 6” pads on my Porter Cable. Unfortunately, those listed at AutoGeek (Car Buffers, Car Polishers, Rotary Polishers, polishing foam pads, buffing pads, wool pad, Porter Cable 7424, Makita, DeWalt, Cyclo buffer, bonnet,) are ridiculously pricey. Having spent not much over $100 for my PC a few years ago, I don’t see myself forking over $275+ for one of these mini units. (It would be different if I was doing this for a living!) Has anyone found one of these smaller units at a more reasonable price? One they were happy with, that is? When you say microfiber bonnet do you mean a microfiber cutting or polishing pad? I just polished my 986 with a Griot's polisher for the first time. I used a 5" microfiber cutting pad with D300 compound, then a 5" white foam pad with Menzerna SF3500. I also used 3.5" foam pads in orange and white for the small areas, and detail work. I have been blogging about the detail on my site, but here's a quick summary of my thoughts. I was not being super aggressive, but I did not find a huge difference between an orange foam pad and the MF cutting pad. The MF pad also required a lot of frequent cleaning compared to the foam (using compressed air was messy, and a towel was not very effective, I ended up brushing the MF pad a lot). I ended up preferring the foam, because the thicker pad makes working on the many curves of the 986 much easier (even the door panels have a slight concave curve). I had trouble with the thin MF pad everywhere other than the hood. I also ended up preferring a 3.5" pad to the 5" pad everywhere other than the hood. I used a 3" backing plate on my 6" polisher with 3.5" pads, and it worked great. I have read the smaller Griot's polisher is underpowered. The Meg's D300 compound works really well, and does not dust very much. I finished with Menzerna SF3500, but it dusted a lot, which made removing the polish a bit of a mess. Besides the dusting this combo left the paint looking fantastic! Yeah, I was talking about the cutting pad on the MF. I was thinking in terms of just using foam for the follow-up polishing step. But you may have changed my mind. What with the clogging/difficult cleaning of the microfiber pad, sounds like you’re now inclined to go with foam pads all the way. I guess maybe I am too. So, just to be sure I’m understanding you---you used the D300 on the foam (as well as the MF) and it performed well that way? And I’m also interested in what you say about using the 3.5” pads with the 3” backing plate. Amazingly that never crossed my mind, but it’s a good idea. Pretty sure I’m going to order that as well. Thanks for the response, and for mentioning your blog---I’ve now checked it out. I used the D300 with Microfiber and the Foam pads, it can be used with either. I think the main difference is that the MF is faster, but you can still get to the same place with foam. I personally preferred the foam, because I had so much trouble with the thin MF pad on the curves. I would definitely look into trying a smaller backing plate before buying an extra polisher. On the Griot's the 3" plate with a 3.5" worked really well. I also preferred a flared pad to give myself a little extra buffer when using the smaller setup with a large polisher. When initially trying foam pads, I found the firmer foam pads - I used a yellow, for example, would sort of disintegrate when used hard. That was when I was using Menzerna polish/compound, SF1500 it was called I think, which really heats up. Maybe I didn't use an aggressive enough compound for the amount of correction I was trying to do, so was trying to make up for it by pressing down harder. The pad was supposedly high-end, expensive. Didn't last, probably from my heavy use. A. It's aggressive - doesn't take forever. Can even do very impressive things with it just with a hand pad, in places where the machine doesn't fit! C. It runs so cool! (Imparts very little heat into the paint, totally different than Menzerna). I still haven't fully polished the Porsche, but I am very happy with the technique I've arrived at. Here are some pictures of a polished hardtop I did, which came out *outstanding*! If there is enough interest in talking car detailing, it might make sense to ask the 986 forum admins to add a subforum on car detailing! What do you guys think? What with how many Porsche folks love to fuss over their cars, it seems like a natural fit here. I got really turned off by autogeek forums after finding out they delete discussions about products they don't sell, and after having some of my contributions on things like eBay pads and harbor freight dial action polisher tips being deleted there. I won't be wasting any more of my time there. Suggest others take note of the autogeek forum censorship policies, and steer clear if you're looking for an unbiased information source. Nice job on that top, I have a hard top also but haven't had it on since I brought the car home. 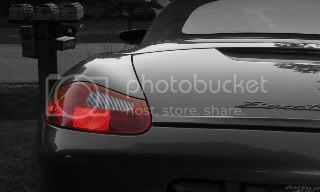 When I bought my Boxster it had cat scratches in several areas, which I used as a negotiating point. Anyway, I wash then clayed the whole car then used Maguire's scratchX 2.0, followed by Maguire's Polish, finishing with Maguire's gold Wax. I did it all by hand, removed almost all the scratches and fine imperfections. Still could use a good full on pro job. Anyway, I think a detailing sub topic would add to the forum. Detailing the car is one aspect I really enjoy, only time at home when I get left alone. STILL have not yet found the time to dive into this project yet. The package includes some of the pads that I think would be useful to me. It's also got a 2.75" backing plate, combo'd with 4" pads, which is a greater disparity between backing plate and pad size (ie versus your 3" and 3.5"). You think that would be an issue? I wouldn't think so but I thought I'd ask. Not sure I'd ever use it on my paint, but the kit also contains an adapter to allow these items to be used on a hand drill. Might come in handy elsewhere around the house or garage..
Last edited by Frodo; 08-24-2017 at 07:43 AM. That poorboys product is more of a cleaner wax and has virtually no abrasion. I would only use that on a newer car or a car that has recently been corrected. My go to one steps are menzerna 3 in 1 (basically menzerna 2500 mixed with their color lock wax) and hd speed. Both have a good amount of cut with a more aggressive pad (menzerna especially) and both finish down amazingly well with a more gentle pad. Meguiars ultimate polish and ultimate compound are both really good if you want a dedicated compound and polish. If I could only have one product though it would probably be menzerna 3 in 1. Its very, very versatile and super easy to use. If you need something that can be used in the sun I would recommend hd speed. As a complete beginner I did my black car with generic DA, some generic orange & black hex pads, and menzerna 2500 last year. Took a whole day, but the end results were pretty damn good. I think you just have to start somewhere and get stuck in, you'll figure it out from there. It's not rocket science, they just make it sound that way to sell you expensive products! The best thing I bought from my little detailing shopping spree was actually 3 buckets with a grit guard, and a couple of big waffle drying towels... my better washing regime has meant I've not had to hit it again with the DA since. I love geeking out about detailing and second the subforum idea. That poorboys product is more of a cleaner wax and has virtually no abrasion. It’s interesting, in the older one the Poorboys Professional Polish was listed in the middle of the 3 columns that were collectively labeled “Final Polishes and Light Swirl Removers.” And in the listing it indicates the product (ie its correction capability) is “pad dependent.” That's why I figured it might be an okay choice to tackle my almost invisible, super light swirls. Throw an orange cutting pad on the PC, squirt on some PB Pro Polish and knock 'em out. In the updated table (the one I hadn’t seen until just now), they move the product 2 columns to the left, into the “Nonabrasive cleaners/glazes.” Do we infer that the product itself has been changed? I dunno, maybe so. But those (I came to realize) were older comments, made well before even the earlier Autopia comparison chart had come out. My go to one steps are menzerna 3 in 1 (basically menzerna 2500 mixed with their color lock wax) and hd speed. Both have a good amount of cut with a more aggressive pad (menzerna especially) and both finish down amazingly well with a more gentle pad. Those are interesting options. I'd never even heard of HD Speed. But there's a part of me that rebels at the thought of resorting to one-step products. I'm 62...my aching knees and bum shoulder say, "Go for it!" But my stubborn head and heart say no. Maybe instead of the PB Pro I'll pick up some of either the Menzerna SF-3500 or SF-3800 to follow the Intensive Polish. If there is enough interest in talking car detailing, it might make sense to ask the 986 forum admins to add a subforum on car detailing! What do you guys think? I'm onboard with that idea! It's hard to say with that poorboys product. I suspect that it fills quite a bit, so it might give the illusion of correction when its really not doing much. Maybe thats why it was moved where it is on the chart. I have their polish with sealant, which was also previously listed as being more aggressive, and I can confirm it fills quite a bit. The appeal of one step products for me is that you can allow them to dry. If your paint is indeed in good shape and you aren't shooting for absolute perfection you can save yourself a ton of time by not having to wipe the product off right away. You can do a couple panels or even the whole car before wiping. Both of the products I listed are a good base for a sealant/wax. Most people (myself included) top off all in ones. Depending on your color and how your paint reacts you may not even have to follow the intensive polish with a finishing polish. On hard paints, I've seen menzerna 400 finish down wax ready. Well, on the PB Pro Polish, the Autopia table seems to indicate no fillers. (The products with fillers are listed in purple.) But, in any case I've drifted away from that choice. Based on a test run on a small panel yesterday morning (using my available Menz Intensive Polish), I'm thinking I'm going to get a couple more Menzerna products---one a bit more aggressive and one a bit less aggressive than the IP. Another question I've developed is pads. Leaning towards the Lake Country hydro-tech pads as they seem to be getting some good reviews by folks that have used them. (These versus the CCS pads on one hand and the flat pads on the other.) I find that I'm starting to spend more $$ than I had intended, so I was thinking I'd just drop down to the 5.5" pads (from the 6.5" that I'm used to) and not get the smaller adapter plate and small pads. The issue I need to address is thickness: 1.25" versus 0.875" (ie 7/8"). I'm used to the former, but at the moment Autogeek is out of that in the 5.5" pads. I've read that some folks like the thinner ones. I've hesitated to go that way--I figured the thicker were a bit safer, distributing pressure more evenly and hugging the curves better as I moved around. Has anyone used both and developed a preference? Also read a couple people recommending Buff & Shine pads https://buffandshine.com/collections/dual-action-polisher-pads. They've got a pretty nice selection---anybody have any experience with them? I used regular Lake Country Flat Pads, because I don't think the type of foam pad makes that much of a difference, at least to a non-pro who isn't using them every day. But I would go with the thinner foam pad. Too thin will make the curves of the 986 tough to work on (why I did not like the Microfiber pads), but the really thick pads absorb too much of the product in my opinion. I thought the 7/8" pads where the right balance. I prefer flat LC pads over the CCS too. I find if you're using a free spinning DA they spin a little better and don't seem to stall as much. I've heard good things about the hydrotechs but the main knock seems to be that they aren't quite as durable as the regular flat pads. 5.5" is a versatile size for most cars. I also have a 3" plate that I use with smaller pads and it is awesome for smaller areas (mirrors, bumpers, etc). That's good to hear--I think I'll go that way (7/8"), though I may still go with the Hydro Tech pads. Quite a few users of what they call the tangerine and cyan pads have tripped all over themselves to say how great they are (in spite of the fact that they maybe are a little less durable). The gain is supposed to be that somehow they don't drink up (ie waste) as much product. We'll see. That and it just kind of simplifies things. It's easier to just grab the three that are offered in the Hydro Tech line, rather than trying to decide between eight or ten colors in the other lines---whose differences, as described at Autogeek and elsewhere, are so subtle as to make the whole process of choosing ridiculous..
And yes, I'd love to have one of those 3" (or 3.5") backing plates and small pads. Maybe for next time. Like I said, I've gotten kinda carried away on the purchases this go-round...even got me a detailing cart ordered---though not one of those ridiculously priced units that they have at Griot's or Autogeek. There are very similar products for about half the price on eBay.